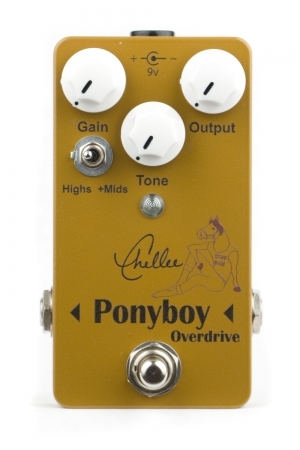 Ponyboy V3 is the newest evolution of the original Ponyboy Overdrive. 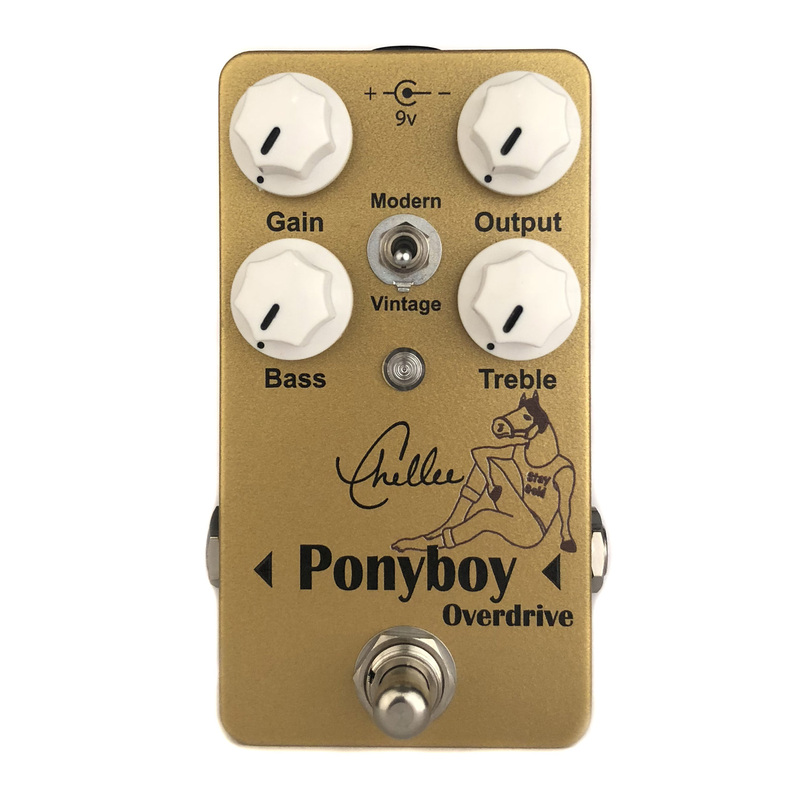 Ponyboy has been a favorite overdrive pedal for a lot of players for it’s clear clean boost and it’s lower gain overdrive settings. My choice to avoid NOS and out of production parts has left some players feeling less enthusiastic about its higher gain sounds though. The new Ponyboy V3 features a clipping switch with germanium 1N34A diodes (Vintage setting) as well as the modern schottky diodes that Ponyboy is known for. 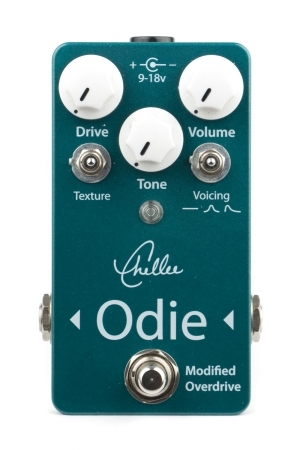 These new diodes add a new tonal dimension to the higher gain settings that’s a bit hard to describe beyond saying. While I was working on a different project a friend of mine told me, “I think all drive pedals should have a bass knob”. 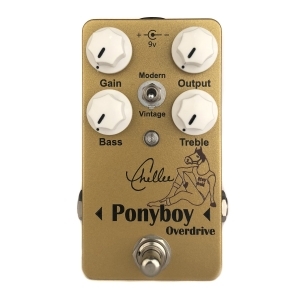 When I began thinking of adding more diodes to Ponyboy I thought at least in this case he was absolutely right. After spending some time with a few different approaches I landed on adding a 120 hz band pass filter at the end of the circuit. 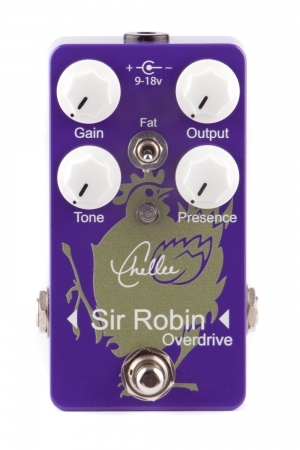 I did’t want the bass control to mess with any of the magic that the pedal had, just give me a little extra tone shaping, and adding it to the end of the circuit insured that it would not interact with the gain/blend control, just polish the tone a bit. 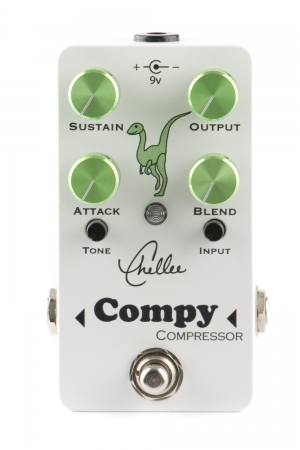 The happy side effect was that this added controls gives the Treble control more usable range. In more extreme settings try using the Treble and Bass knobs in the same direction (both boost or both cut).